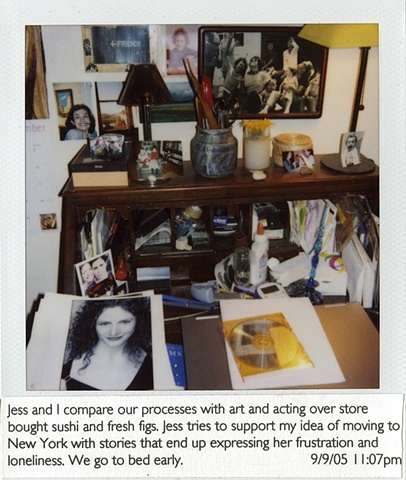 These diaristic image-and-text pieces are drawn from my everyday life from the years 2005–08. 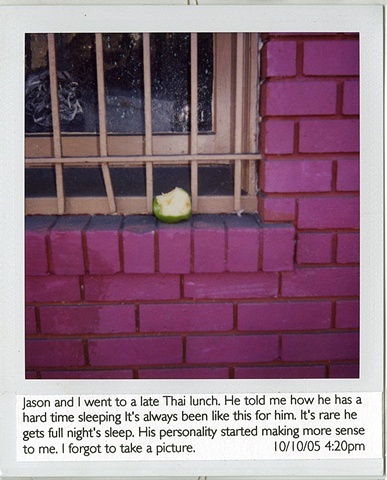 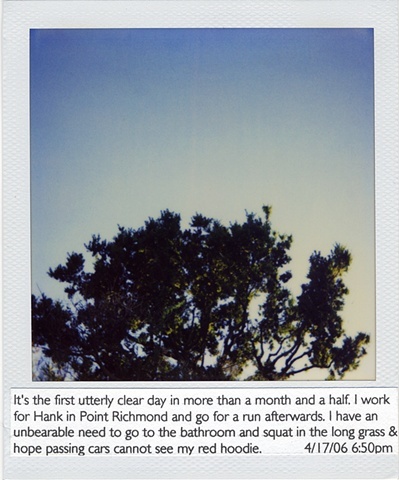 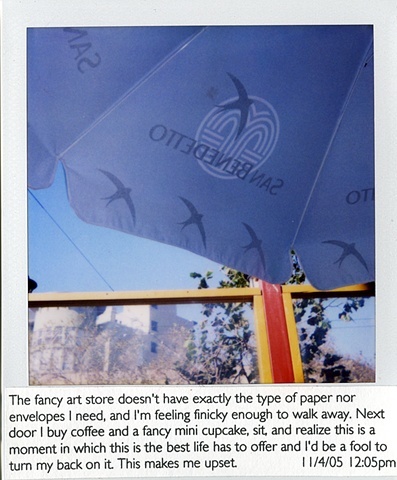 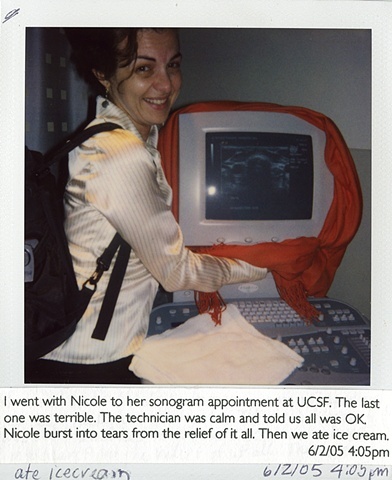 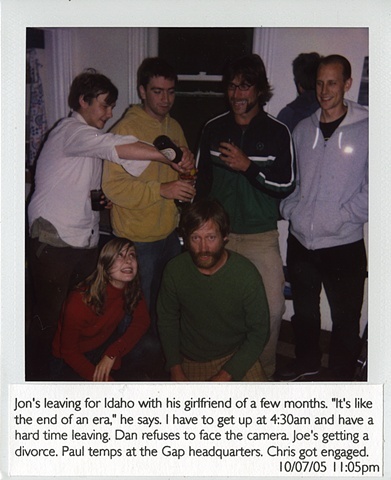 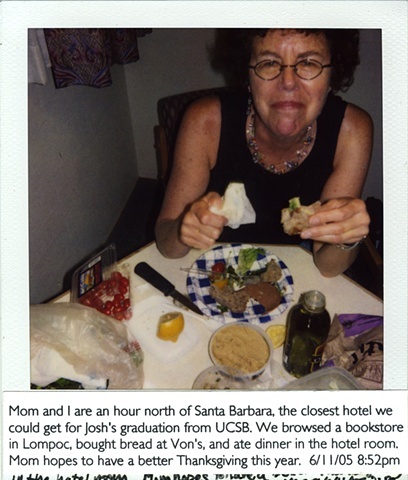 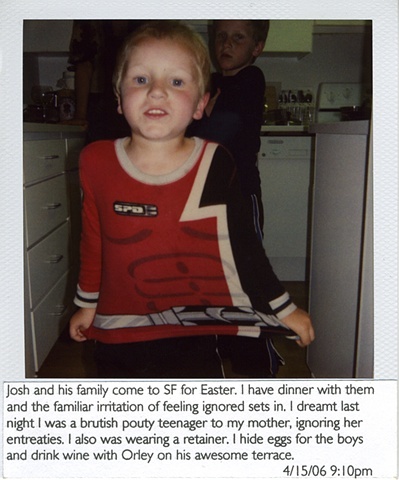 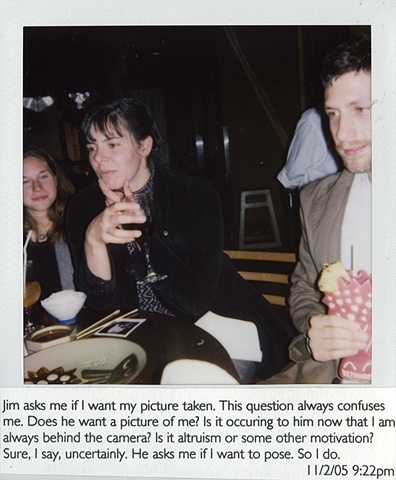 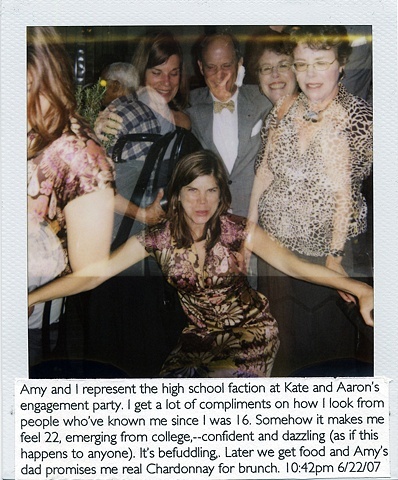 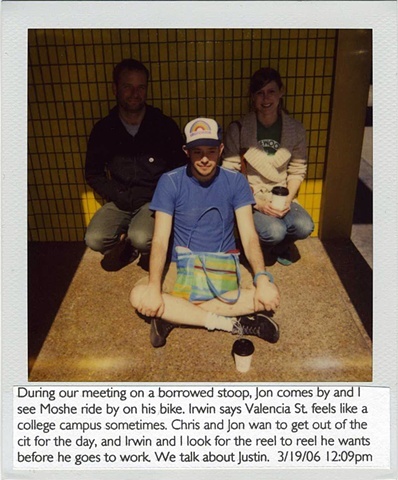 I'm interested in the relationship the text establishes with the casual Polaroid image. 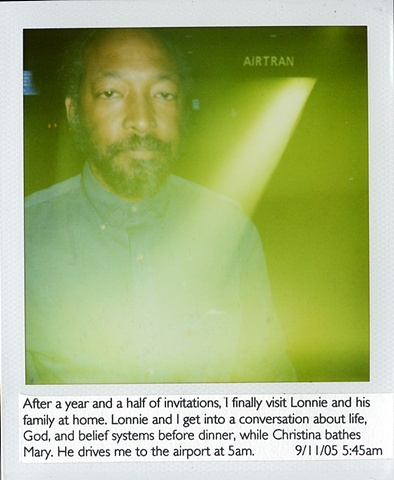 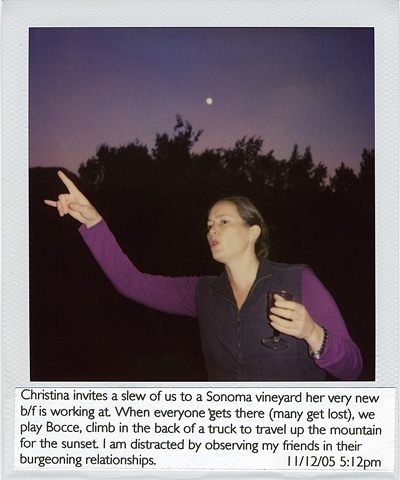 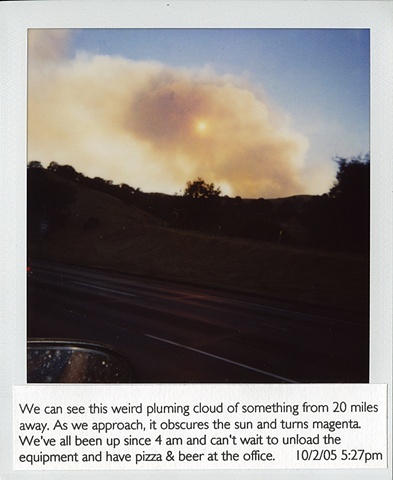 The effect is cumulative when the viewer navigates through a collection of the Polaroids, creating a self-directed narrative.